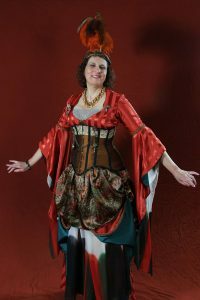 Michigan Steam Expo is happy to announce its Steampunk Costume Fashion Show. This event will be the opportunity for you, the attendee, to show us your Steampunk finery. It is not a contest. There will be no judging, just loads of admiration. We look forward to your creativity. Your outfit can be home-made, thrifted, purchased, or any combination of those. You can model as an individual or in a group. The only requirement is that you must be registered for the convention, and will have to submit a Fashion Show Registration form (click here) in advance to participate in the Fashion Show.